For all of us focused on online gambling and the various casinos and games, our concern is how Apple Pay will improve online gambling. For the near future it might not be as significant as we want or expect. Since Apple Pay is currently only offered in the United States only these online players will be able to benefit. While that may seem to be okay for the moment, most of us realize that the U.S. has strict rules and regulations about online gambling, while the credit card companies have their restrictions as well. Apple Pay seems to be more focused on the U.S. consumer market and making purchases at stores a one touch exercise. The current situation is nothing significant for online gamblers, but as we know with Apple there will be something of importance down the road. For now we will have not just another payment method, but a company that not only improves but revolutionizes technology and trends. Although when playing online we do not swipe our phone or card, butwe do use a payment method such as PayPal who acts as a go-between with the online casinos and our credit/debit cards. With Visa, MasterCard, American Express and many large banks already associated with Apple Pay as well as most online casinos, this seems to be the next step in payment options. 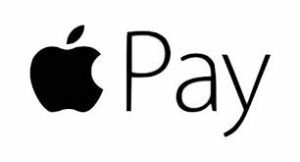 So the big question ishow soon will Apple Pay become involved in the online casino industry and more specifically for the mobile devices? In a previous article I wrote about the two main operating systems for mobile devices, Apples’s IOS and Google’s Android . Not so much of an overall comparison, then as an analysis of how online mobile gambling will work with these two systems. Without getting into too much detail, my conclusion focused on the formatting of online slots to mobile devices and how they will perform with the 2 systems. All things being equal, I felt that because Android operates on various size devices as well as 5 large manufacturers, that their biggest problem would be fragmentation. How do you create online slot software that will function consistently for each device without diminishing the experience with subpar graphics and ill-fitted screens? I felt that since IOS was only used for Apple devices and there were limited screen sizes, that the go-to system or device would be Apple. Because of the difficulties in formatting and other issues, it would be a lot cheaper and more efficient for these companies to work with Apple. Now this is not to say that the software developers will not create games for Android, it’s just that Apple will prove to be the better bet while the Android system will prove more challenging. Now with Apple’s IOS being the better choice, one can assume that there will be a unified payment system with the online casinos and video slot Apps, and Apple Pay . While I’m no techy (obviously), I’m certain that Apple Pay and the video slot games designed for IOS will create a seamless payment and gambling system. In the world of mobile devices anything can happen and it can be futile to predict the future, but with the introduction of Apple Pay, the industry will nonetheless get quite interesting.